Summary: Workplace changes are making telecommuting more prevalent. Would telecommuting work for your bank? Data by Funders and Founders finds people live on average 78Ys and like dogs and cats, we spend most of our time sleeping (36%). Rounding out the other major ways we spend time: working (13%), social networking, TV, video (12%), doing chores (8%), eating and drinking (5%), education (4%), grooming (3%), shopping (3%), child care (2%), & commuting (2%). Now you know, so spend your time wisely! A perk most want - A growing number of workers are looking for benefits that lead to a greater balance between work and home life. Consider recent research from staffing firm Robert Half. It found 77% of professionals surveyed said they are more likely to accept a job offer, if there's a possibility of telecommuting at least some of the time. Greater balance - Next, consider that 53% of employees polled by Gallup say a role that allows them to have greater work-life balance is "very important" when considering whether to take a new job, and 37% say they would switch jobs if an opportunity arose with a telecommuting option, least part of the time. Company impact - It's clear that as banks face more of a recruiting shortage, the benefits they offer seem likely to become even more important. 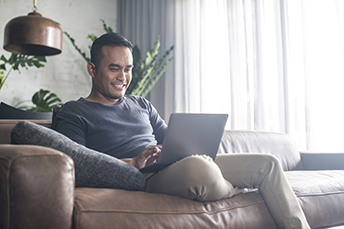 While telecommuting may not be an appropriate option for every job, there are a number of roles that could be easily adapted to working remotely. Cost savings - While studies vary as to cost and productivity benefits, extending your workforce options to other states or regions in some cases might save money. Also, allowing people to work from home may reduce turnover and absentee rates perhaps. The rough estimate is about $10k per year for a typical business in savings per person that works remotely vs. in the office. On the productivity side of things, again studies vary but it seems people who perform creative tasks can be about 20% more productive, while those doing repetitive tasks are 10% less productive when working remotely. Culture impact - Some employees may not work well in their home environment, however. Top drawbacks, according to the Robert Half survey, include people abusing the benefit (22%), feeling isolated/missing a team environment (22%), and strained interpersonal relationships due to lack of face time (17%). Helpful options - To help mitigate issues, banks can do frequent video check-in chats to foster teambuilding and use task-management software to track employee progress and keep people plugged into the bank. Security impact - Certainly, there can be many security issues that arise from employees working remotely. To help prevent these problems, banks should provide employees with company-issued equipment, multifactor authentication, secure access and require equipment used to get into bank servers passes muster. When it comes to telecommuting, there are no easy answers. However, as more and more competitors move this way, it makes sense to evaluate it and see if it is time. S&P Global Market Intelligence research finds the frequency that mobile banking customers use their mobile bank app for a primary checking account are: more than once per day (14%), once daily (20%), a few times per week (41%) and once per week or less (24%). Korn Ferry research reveals that with the push for digital products and innovation, the strategic role of CTOs, CIOs and CDOs has increased over the past 3Ys, according to 83% surveyed. A whopping 67% of respondents said they serve on their company's executive committee vs. 55% last year. Riding an 18-month wave, small business optimism hit a 30Y high in May, according to NFIB. Business growth outlooks and optimistic earnings trends also hit record highs. Predictions for robust real sales increases were at the highest since 1995. An economic model by BBVA projects a 16% possibility of a US recession in 12 months vs. 5% in January. One reason cited for the increase was the declining gap between short and long term Treasury yields and tariffs.